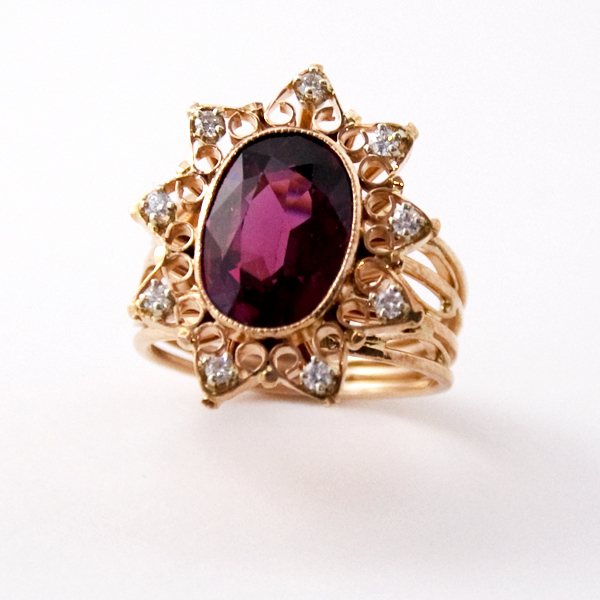 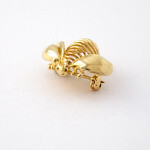 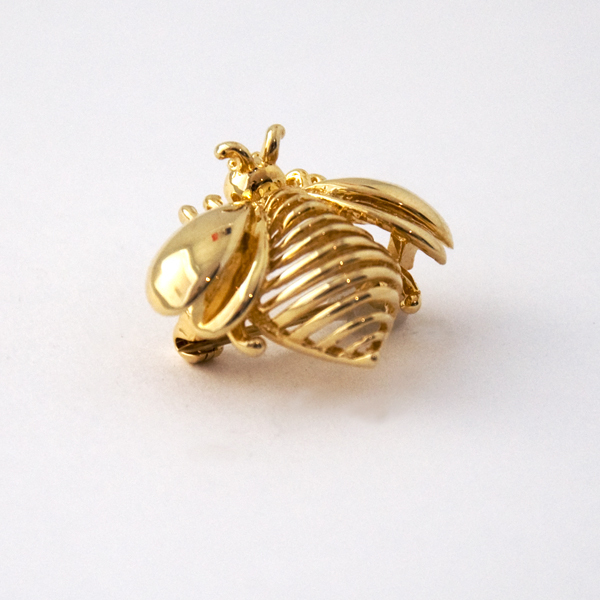 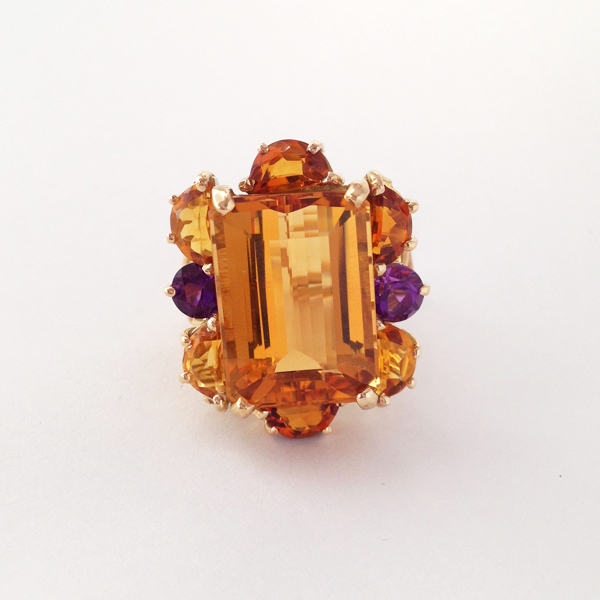 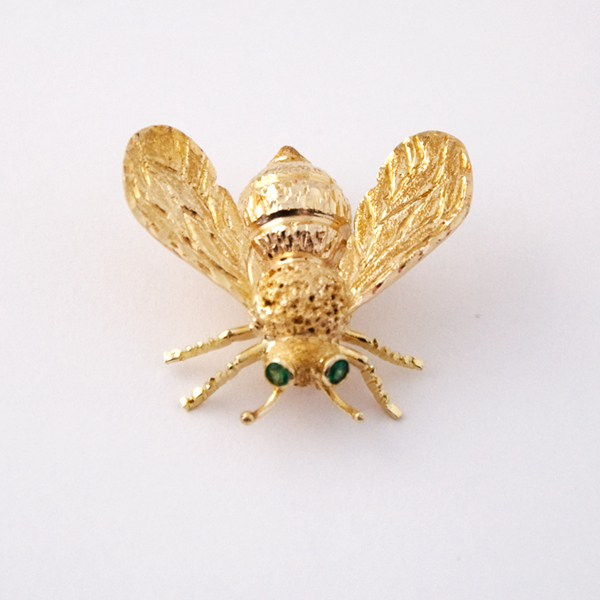 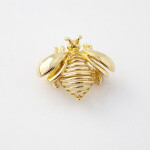 This bold 14k yellow gold Little Bee pin measures16mm from top to bottom by 21mm across (wingspan). 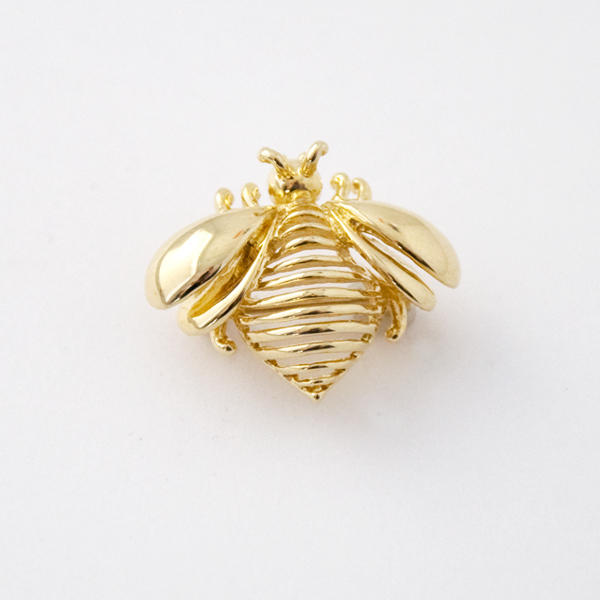 Gold Little Bee Pin weighs approx. 3.4grams. 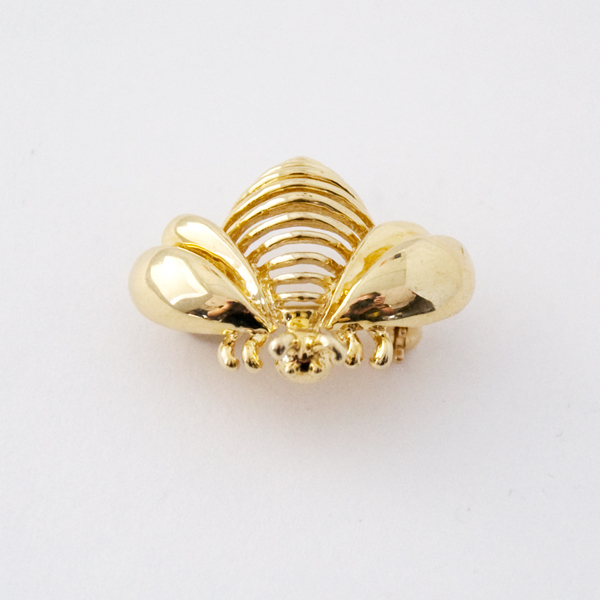 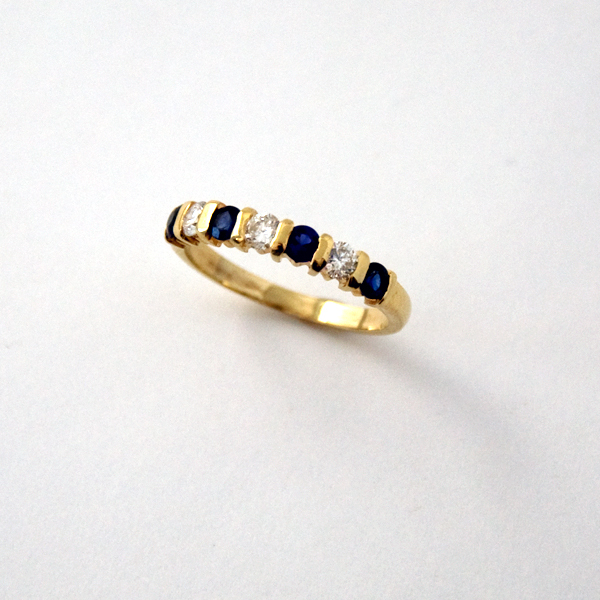 add that extra gold on your clutch.